My desire to write this passionate chapter in the history of ideas dates back to when I immersed myself in German Idealism, which you might say Richard Wagner set to music, and then found myself in Soviet Russia soon after. I wanted to tell the story of a dream of social transformation, inspired by philosophy. Of course it was a failure, but that’s not the only thing to understand about how Russia entered the modern world, especially, if, like me, you feel that Russia’s greatest asset is its creativity: its art, not its politics. Back in 1790 in East Prussia, and from the 1830s in Moscow and St Petersburg, it was a concept of imagination that set the story in train. Kant talked about what he called our faculty of judgement. What made (and makes) us supremely human is to see the world not as it is but as it might be, as a beautiful and harmonious whole. 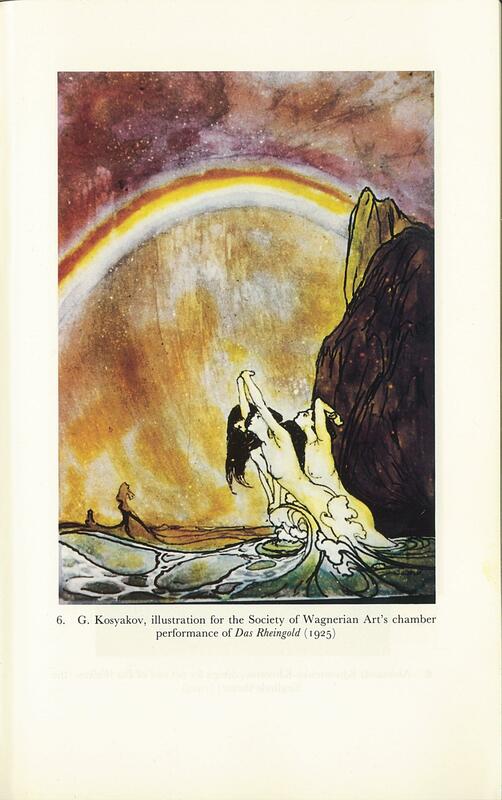 I argue that this vision carried forward by German Romanticism not only resounded in the music of Wagner but Wagner’s reception in Russia from around 1890 helped inspire the art and drama that surrounded the anti-tsarist revolutions of 1905 and 1917. You can find a longer article about Arc of Utopia on my blog at https://lesleychamberlain.wordpress.com/2017/09/28/the-arc-of-utopia-in-the-anniversary-year-of-russia-1917/. www.reaktionbooks.co.uk on its Arc of Utopia page also features extracts from the reviews. ‘The Enlightenment’ comes under a great deal of attack but what does the term refer to? I worked on this theme in a stimulating three months at The Intsitute of Advanced Study at The University of Durham and you can read the results in their online journal Insights 7 and also on my blog. The German Aufklärung is rather a different creature from its French and British counterparts, especially when it comes to the accommodation of religious and imaginative experience, so I give it special treatment. The extraordinary denigration of the Enlightenment by Adorno and Horkheimer needs to be understood in its historical context, and note taken of the authors’ own apologetic preface in 1972 to emotional views they expressed in exile in 1944. Marek Hlasko has been called the James Dean of Polish fiction in the 1950s but his filmstar good looks were nothing compared to ruthless stories he told based on his life as a truckdriver in a remote, snowbound part of the country, and on tough, depressing conditions in Poland post-war. From briefly being the darling of literary circles and the recipient of a state prize he became persona non grata and after an official trip abroad was refused reentry to his homeland. 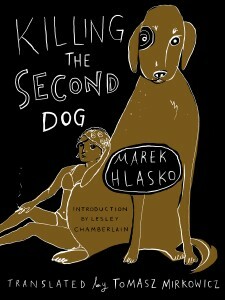 His life as an illegal drifter took him to Israel in the early 1960s, where Killing the Second Dog is set. He committed suicide in 1969. New Vessel Press has reprinted this short novel with my introduction, release date March 5th, 2014. Find out more! A short story, ‘Lighten our Darkness’, in Standpoint December 2013. Derrida features, along with Heidegger, as a key thinker in A Shoe Story Van Gogh The Philosophers and the West. In ‘The Sad Rider’, Common Knowledge Fall 2014 I draw out the good sides of his work generally. His name and reputation have been horribly traduced in Britain. Others still find him fascinatiing. My blog has never had so many hits as with ‘With Derrida in Oxford’ published in November 2014 . 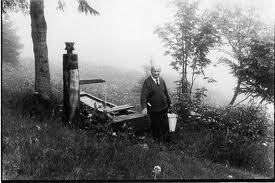 Heidegger (1889-1976) was a philosopher working in a post-Darwinian age. I sketched some of the consequences of that historical position, and its consequences for Heidegger’s view of art, in an article for the TLS (26 Feb 2010). I’ve revisited the Heidegger-Darwin connection in the latest issue (Vol 88, July 2013) of Philosophy. 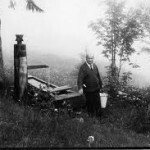 Seen here up at the hut at Todtnauberg, he’s become an inspiration for wilderness experience, amongst the many spillovers of his work from philosophy. 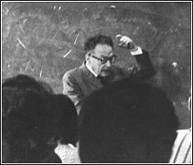 The Russian lingustician Roman Jakobson (1895-1982), who began life as a Moscow Futurist poet and ended it as an American academic has long been a puzzle to me. He was a key figure in the literary-intellectual aftermath of the Bolshevik Revolution, pursuing an internationalist modernism the new Kremlin ideologues, who were mostly traditionalists, not to mention ignoramuses, when it came to artistic taste, found unbearable. In exile in the interwar First Czechoslovak Republic he developed a science of phonology, or the importance of sound in language, which, together with his structuralist poetics, gave him a new way of examining literary works of art. The French structuralists of the next generation, preeminently Roland Barthes, overtook him when they applied structuralist analysis to all cultural artefacts, literary or otherwise, seeking to forge a new critical political tool. Literary critics also rebelled against Jakobson’s readings which seemed to them to take the pleasure out of reading. 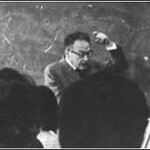 But others, particularly the novelist and critic David Lodge, have found Jakobson’s distinction between metaphor and metonymy useful in pointing to the distinctiveness of modern writing. Read my piece in The Times Literary Supplement September 20, 2013. What I want to add to the Jakobson story is the link between the intellectual-critical tools he forged and a traumatic life in exile, about which he was reluctant to talk. Jakobson’s personal reticence seems to dovetail with the observations of several critics that his theory uncannily echoes his life-experience and sometimes seems more autobiographical-creative than scientific. I believe this to be the case, and that it makes Jakobson all the more interesting as a now historical figure. I also talked about this at the Courtauld Institute’s London conference on Russian Exile Culture November 2-3, 2012. A version of what I said there can be found on my blog.